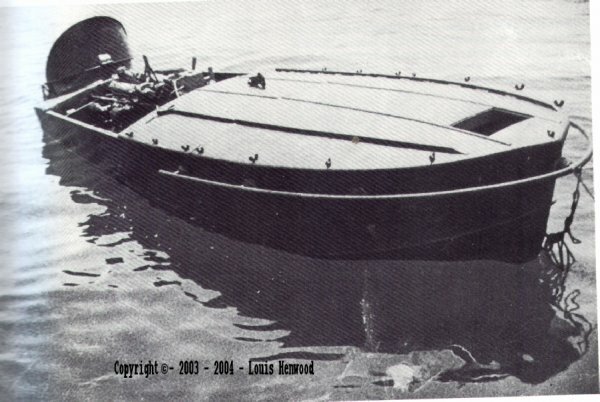 The only E-boat to survive the assault on the Grand Harbour on 26th July 1941, was found abandoned about seven miles off shore. 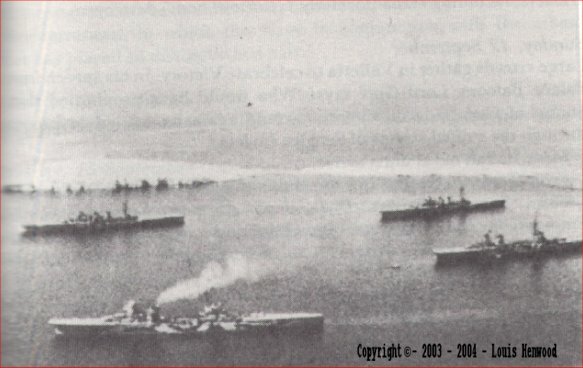 Surrendered Italian naval units at anchor at St.Paul's Bay. The Macchi 200. This Italian fighter was the one most frequently encountered over Malta in 1941 Most flew with an open cockpit but some had wind deflectors. A captured Savoia 79, this was the most numerous and effective Italian bomber torpedo, carrying aircraft operating over and around Malta in 1941. Dust and sea spray from exploding bombs, shrouding submarines berthed off Lazaretto. The Submarine Base at Lazaretto Creek. Italian pilots receiving instructions before setting out for setting out for a bombing raid on Malta. five E-boats and eight small craft being completely destroyed, the four E-boats which remained tried to get away, but they were attacked by the R.A.F. who succeeded in sinking them all, the whole attacking force was thus completely destroyed, without one of them penetrating into the harbour. This picture is a painting specially done by Frank H.Mason, it gives the artist's impression of how the E-boats attacked and of the strong British defence. Italian pilots receiving instructions before setting out for a bombing raid on Malta. 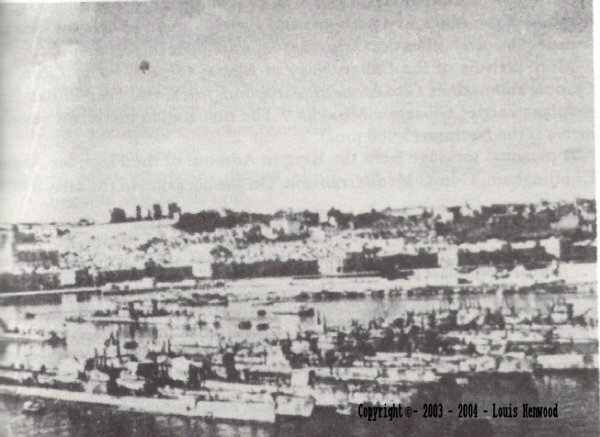 In April 1941 preparations began for an attack on the British naval base in Malta Grand Harbour, probably the best natural harbour in the world, consist of several docks called creeks. It was chosen by the Italians in spite of the formidable massive stone forts guarding the entrance The Fort of St.Elmo and Ricasoli guard the main harbour, whilst Fort Tigne covers the adjacent Marsamxett Harbour. A stone mole projecting from Fort St.Elmo protected the harbour entrance which could be closed by an anti submarine chain and net, near to where the mole joined the fort, a steel lattice bridge on two steel pillars spanned a channel used in peace time by small boats to enter the harbour, but which was then protected by a steel hanging net from the bridge. Capitano di fregata Moccagatta himself took part in three reconnaissance's made by two motor boats to check on the harbour entrance, defences and the chances of approaching unobserved, these took place on May 25th and one on June 26th, immediately prior to the attack which was scheduled for two days later. In this last reconnaissance he approached to within two miles of the coast and reported that he could distinguish houses in light of searchlights that had been switched on for an air raid. What he did not discover was that the harbour defences included a surface radar installation, whilst his small forces had passed unnoticed, a large one almost certainly would be detected. Heavy seas forced the flotilla to abandon the attempt. 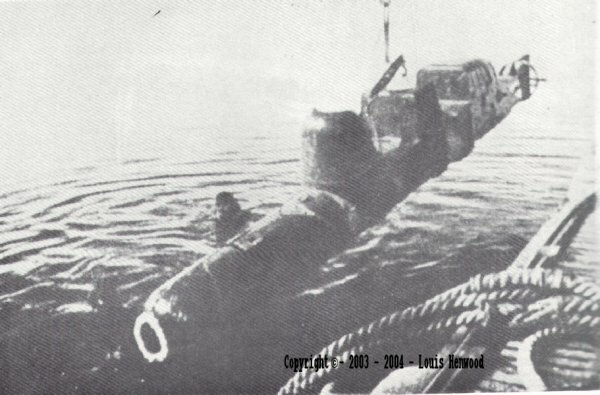 On June 28th had engine trouble a second try on the night of June 30th aborted This setback now meant a delay of a month until the moon would again be favourable for a night attack The intervening delay gave Maggiore Teseo Tesei, a dedicated naval engineer, who had developed the two man human torpedo SLC. (A Siluro a Lenta Corsa a two man human torpedo was nicknamed Maniale for its proneness to breaking down at crucial moments, the SLC manned by Costa and Barla was found scuttled in shallow water) time to plead his case that be included in a raid, he felt the SLCs could better approach undetected and instead of entering the harbour by the main entrance, destroy the nets hanging from the mole bridge under the guns of Fort St.Elmo. The barchini (Motoscafo Turismo Modifcato commonly known as E-Boats or Barchino) could then enter the bridge, he volunteered to lead the SLC's himself, although he must have realized he had little chance of returning alive from an almost suicide mission. A new plan of attack was drawn up to incorporate maggiore Tesei ideas, instead of towing the barchini to Malta as had been tried unsuccessfully on the two earlier occasions, a new plan called for them to be put aboard the 'Diana' a 1568 ton sloop which would also tow an MTL .The 'Diana' would stop and release the small craft when she was within twenty miles of Malta Point C.
The force thereafter would consist of the following: The 'Diana' commanded by Capitano di Corvetta, Lieutenant Commander Mario di Muro which would tow the MTL carrying in turn the two SLCs Maggiore Teseo Tesei, with his co-pilot Secondo Capo Palombaro. The new date was fixed for the attack was the night of July 26th (An MTM barchini goes in to attack. The pilot is sitting on the back rest which will be jettisoned). The weather was good with a calm sea as the flotilla set sail from Augusta in Sicily. They arrived exactly on schedule at 11pm. At point C where the MTMs were unloading and the 'Diana' returned homewards. As they left the 'Diana' a towing cable fouled the propeller of MAS 451, causing a collision with the MTL. With a four-foot gash in her bow and a fouled propeller, the motor torpedo boat had to be left behind but shortly after the others boats reached point B they were joined by 451, which had managed to free she. At 2.00am the MTL led formation towards the St.Elmo Bridge and at the planned distant of 1000 meters, the engines were stopped and the human torpedoes cast off, the time was 3.00am, later than planned. When put in water the second SLC floated with a 20 degree tail list, the pumps could not be made to correct the fault and Maggiore Tesei ordered Tenente di Vascello Costa to go back, Maggiore Tesei finally set out at3.35 am, he knew he had to blow the bridge at 4.30am, when a diversionary bombing raid was planned on Mqabba air field (the Italian name for Luqa) to draw attention away from the Harbour. As he set off towards the mole he told Tenente di Vascello Costa 'I will not have time for anything else than take my SLC under the net. At 4.30 am. The net has to be blown and it will blow. If it is late I will fuse the explosive for only one minute' Tenente di Vascello Costa knew that Tesei would kill himself to ensure the successful destruction of the net. This was the last anyone saw or heard of Maggiore Tesei. The radar when approaching point C at 10.30pm had picked up unknown to the Italian force the 'Diana'. The last radar contact was at 11 pm as the 'Diana' sailed away from Malta, although the small boats were invisible the harbour defences and fortresses had been alerted and the men of the Royal Malta Artillery manning the guns were ready. The diversionary air raid came a little early at 4.14am. An explosion was heard at 4.25am. And assuming that this was Maggiore Tesei charge exploding, sotto-Tenente di Vascello Bosio in MTM No1 signalled the barchini to attack Sotto Tenete di Vascello Frassetto in No2 headed for the bridge and at 100 metres from the target, set his charge and threw himself into the water the boat hit the net but failed to explode so using a torch he signalled to the others the direction of the bridge, Sotto Tenente della armi navali Carabelli aimed his boat at the net but had no time to save himself and he was blown up when his boat hit the pier at 4.45am. The force of explosion was so great that it brought down the left hand span of the steel bridge, effectively blocking the entrance. Sotto Tenente di Vascello Frassetto still in the water tried to signal the other boats but MTM No 6. With secondo capo Follieri was hit and blown up nearby and Frasetto lost consciousness. Sergeant Zammit was on duty in Fort St.Elmo overlooking the mole bridge and harbour entrance, he describes the scene in his own words 'Suddenly I heard the sound of an MTB and although it was still twilight I saw a small MTB three hundred yards away heading towards the breakwater bridge I gave the alarm and my gun went into action just as the MTB hit the bridge and blew up. Search lights illuminated the scene a hundred yards away from the bridge I saw another small craft, I directed the gun on to it and with the first two shots hit it blew it up, I again directed the gun on to a third one away and with the first few rounds it was destroyed, I saw three others heading towards Grand Harbour, all guns fired at them, one was destroyed and two disabled, about a quarter of an hour later I saw two small suspicious objects at about 2,000 yards , I directed the gun on one of them , after ten to fifteen seconds they moved and I opened fire immediately a couple of seconds later all other guns engaged at this moment they zig zagging at high speed to avoid the heavy punishment. They were sunk Segnalatore Marchisio in No 4 was wounded and thrown into sea MTM No7 was hit several times to reach the harbour and eventually was sunk deliberately by second capo Pedrini Nocchiere Zaniboni did the same with his MTM No8, Sotto Tenente di Vascello Bosio wounded in MTM No 1 set the automatic destruction mechanism but before he could jump clear the boat exploded. Capo di Terza classe Capriotti in MTM No9. Managed to evade the search lights and tried to reach the harbour a second time, the best boat came under fire and was hit, jumping into the sea he reached the wounded Marchisio and dragged him to the nearest buoy. Tenente di Vascella Costa ordered not to take part with his listing SLC. 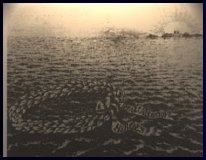 Observed the failure of the attack and after five hours navigation both on the surface and under water finally reached land only to be captured and made prisoner. The radar warning had brought the RAF Hurricane IICc OF Nos 126, 185, and 251 Squadrons to readiness and at first light they took off. The motor torpedo boats MAS 451 and 452 turned back from point B when they realized the attack was a failure. Capitano di Corvetta Giobbe caught them up in his MTSM and was taken in tow by 452, after proceeding northwards in full daylight as fast as the towed craft permitted the fighters caught up with them, whilst the boats were being strafed by the Hurricanes ten Regia Aeronautica Macchi 200 fighters of No 54 Squadron appeared to protect the boats. The Italian pilots were outnumbered three or four to one. On MAS 452 Capitano di fregata Moccagatta, Capitano di Corvetta Giobbi and six others fell at the first burst of fire. The other eleven men managed to escape on the MTSM and subsequently rejoined the 'Diana'. Although MAS 451 managed to bring down a Hurricane the boat's petrol tanks were hit the crew barely had time to leap overboard before she blew up killing four seamen. The nine survivors most of them by the British and taken prisoners, During the voyage to Malta they passed the hulk of MAS 452 which earlier had been captured in unusual circumstances by Pilot Officer D. Winton of No 185 Squadron flying one of the Hurricanes. Except for the survivors of MAS 452 no other Italians returned from Malta, Fifteen men died including Capitano di Fregata Moccagatta, and eighteen were made prisoner. The British claim to have lost only one Hurricane in air battle and to have shot down 3 Macchi 200s whilst the Italians claim to have destroyed four British aircraft for the loss of two. Undoubtedly the Italian ignorance of the presence of early warning radar spieled failure for the raid before it started, The courage of the Italians was praised bt the Vice Governor of Malta Sir Edward Jackson in an article in the Daily Mirror on October 4th 1941. In 1942 the 'Diana' who had been build as a British submarine off Tobruk torpedoed Mussolini's private yacht in 1940. The most dramatic relic of all lies alongside the Harbour entrance the destroyed section of the steel bridge was removed together with the undamaged span and not replaced, however the rusty iron piers from the centre section remains almost a memorial to Maggiore Tesei who died on this very spot and to his courageous comrades. The plan was for the Barchini to enter the Harbour and head strait on a collision course with any shipping present.